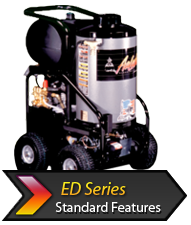 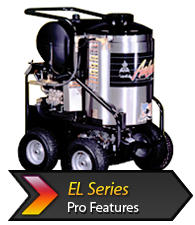 Economy Pressure Washers This product line is a great choice for jobs that require steam or high pressure at a reasonable cost. 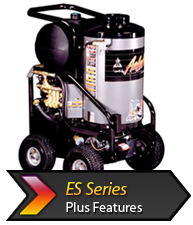 The 12 Series Models are economically priced and loaded with several standard features. 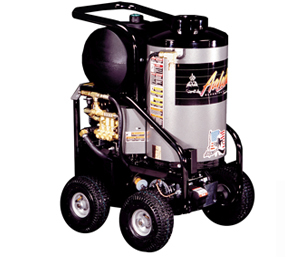 With an Exclusive Combustion Chamber Insulation System, pressure ratings from 300 PSI to 3,000 PSI, and Flow Output from 2 GPM to 4 GPM, the 12 Series has little competition in it's price range.